Ozlem’s Turkish Table upcoming events, Signed copies until 16th April! 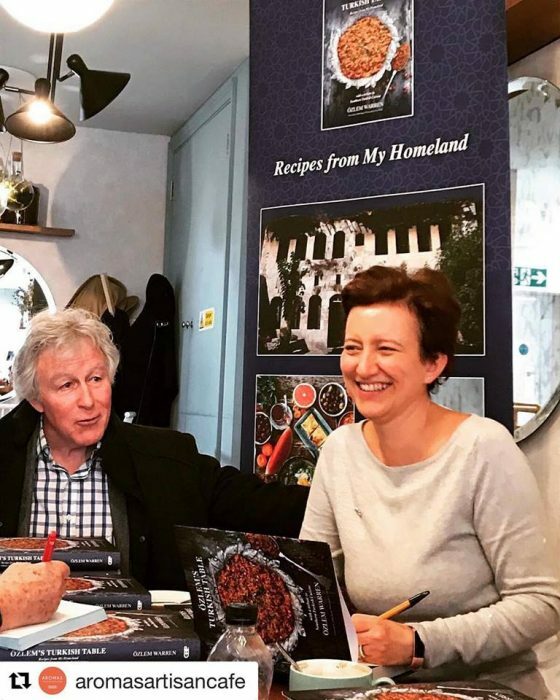 It’s been a very busy and special few weeks; my cookery book Ozlem’s Turkish Table, Recipes from My Homeland arrived last month and I have been very busy signing over 600 copies – and counting – I have been incredibly touched by your kindness and very warm messages upon receiving your copies, my sincere thanks to you all. This special book has been my dream in the making over 10 years and it is so special to have the hard copy being delivered to you all. Deadline to pre-order a signed copy of Ozlem’s Turkish Table with 10 % discount is 16th April (please enter promo code Pre-Order Special or Subscriber Voucher at the check out to get the 10 % discount). If you’d like to have a signed copy, please kindly order at this link, my sincere thanks to you all. Pre-ordered copies are all on the way; most of them already reached and some more on the way, I do hope you all enjoy your copies. So far, we hosted a wonderful Turkish food event at the Riverhouse Barn Art Center in Walton – Surrey, a very special book signing at the lovely Aromas Artisan Cafe and a delicious Vegetarian Feast Turkish cookery class at the Divertimenti Cookery School in London, with recipes from my cookery book, Ozlem’s Turkish Table. I have more cookery classes coming up at Divertimenti, on June 23rd a hands on Turkish Meze class and on July 22nd, I will be teaching a Parent & Teen – Eastern Mediterrannean Baking class at Divertimenti. Please see my Cookery Classes page for the details and I hope to see you there. 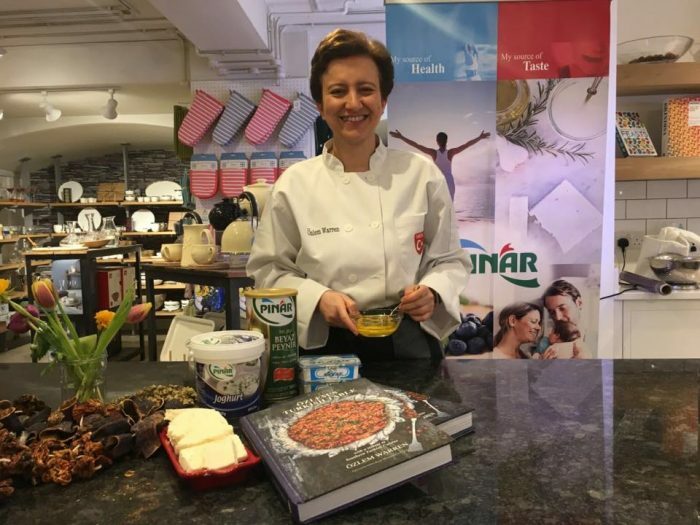 My sincere thanks goes to Pinar, for their support to spread the word on Turkish cuisine and my cookery book, Ozlem’s Turkish Table. We had a delightful hour long recorded podcast interview with Christopher Kimball’s Milk Street Radio in Boston, USA. I talked about my homeland, my roots Antakya, the southern Turkish cuisine, my book Ozlem’s Turkish Table and many more. The podcast will be aired in mid May, I will keep you posted with the link and I hope you enjoy it. I was honored to be invited by the Anglo-Turkish Society to give a talk on Turkish cuisine and introduce my cookery book Ozlem’s Turkish Table at the Royal Anthropological Institute on May 17th. Please book your spot at this link, if you’d like to join us. Anglo-Turkish Society also did a wonderful interview with me and reviewed my book Ozlem’s Turkish Table, you can read at this link if you’d like. Ozlem’s Turkish Table is coming to Turkey! I will be signing copies of Ozlem’s Turkish Table on 30th April, May 5th and May 6th in Istanbul. I am still working on the venues and will announce here as soon as possible, please kindly save the dates. On 3oth April, between 4pm – 8pm, I will be signing at the lovely Zen Seramics Atelier in Galata – Istanbul. Adress: Hoca Ali Sokak No:17 A Galata / Beyoğlu / İSTANBUL. Zen Seramics very kindly let me use some of their lovely plates and bowls at my book so you may have a chance to view their lovely collection too. I will confirm the other venues as soon as possible, I would be grateful in the mean time you can save these dates – I greatly look forward to meeting you all in person! 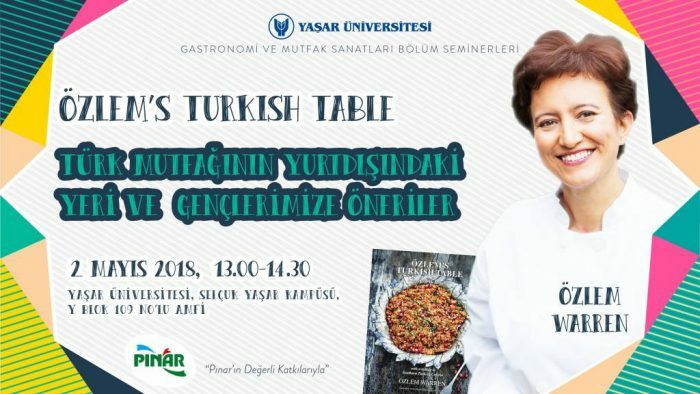 I will be giving at talk on Turkish cuisine to the Yasar University, Gastronomy Club on May 2nd in Bornova – Izmir and I will be signing copies of Ozlem’s Turkish Table cookery book there as of 2pm; the book signing is open to public, please do come and join us. My sincere thanks to Yasar University, Gastronomy Department and Pinar for their support. May 3rd – Ozlem’s Turkish Table coming to Fethiye! I am really excited to be coming to Fethiye with my book, Ozlem’s Turkish Table on 3rd May – it’s a well overdue visit and I am so looking forward to it. My sincere thanks to Fethiye Times to help me organise this trip, I am greatly looking forward to it. I will be signing Ozlem’s Turkish Table over a delicious Turkish breakfast from 10am-11.30 at the lovely Yakamoz Hotel. Please kindly get in touch with Yakamoz Hotel to book your spot. On the evening of 3rd May, I will be co-hosting a southern Turkish themed dinner at the lovely Mozaik Bahce in Fethiye. The owner of Mozaik Bahce is from Antakya and they are passionate about their local cuisine, I am so looking forward to recreating specialties from Antakya, from my cookery book Ozlem’s Turkish Table at Mozaik Bahce. There will be a ticketed set menu and places will be limited, so please kindly get in touch with Mozaik Bahce to book your spot for our May 3rd southern Turkish dinner. I will also be signing my book Ozlem’s Turkish Table there. Do hope you can join us! 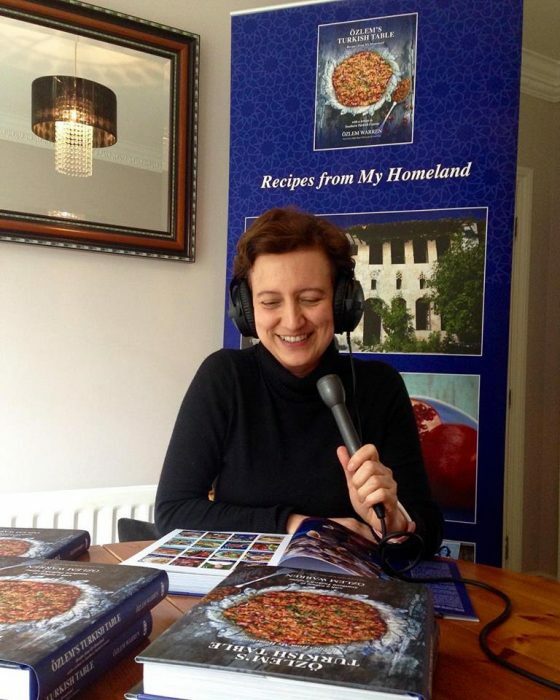 April 10th; I will be at the London Book Fair, signing my book Ozlem’s Turkish Table and giving a talk on Turkish cuisine, at the Turkish Tourism Board UK‘s stand. 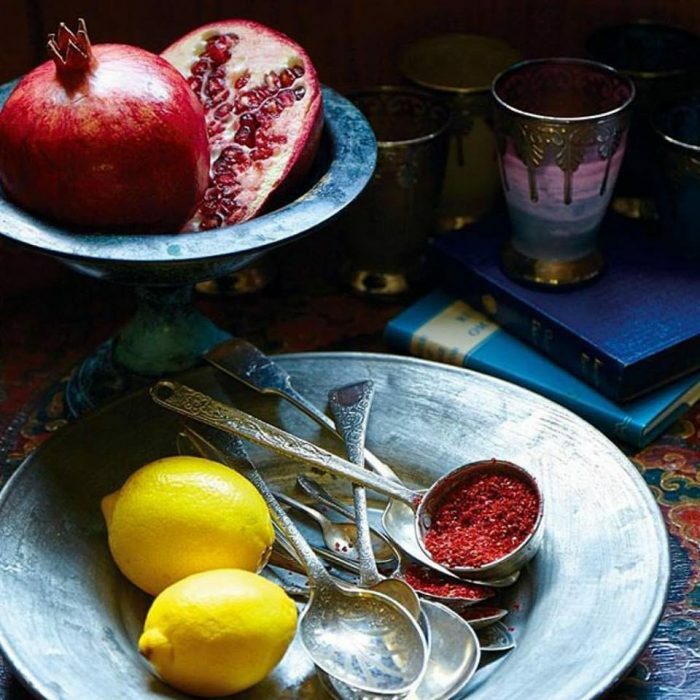 May 24th, 7.30pm – Powers Weybridge I am also super excited hosting a southern Turkish style Supper Club at the lovely Power’s Weybridge on May 24th; 7.30pm. Please check out their website and book your spot as the places are limited and the event likely to sell out soon. July 22nd, 12pm-3.30pm– Parent & Teen – Eastern Mediterrannean Baking class at Divertimenti Cookery School : Please join us as you cook alongside your teen to have a go and make ‘Antakya’s Kaytaz Borek Pastry’, ‘Filo Rolls with Feta and Parsley’, ‘Baklava with Walnuts’ and more. A fun class class for the family to share and enjoy! Booking at Divertimenti cookery school website. more details at Cookery Class page. I so look forward to seeing you in one of the events and enjoying Turkish cuisine together. 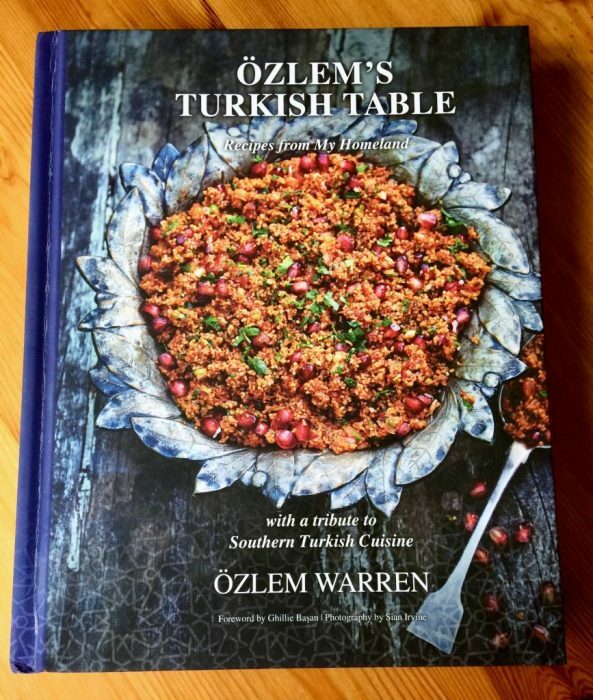 And I must say, I am so looking forward to returning home, and sharing Ozlem’s Turkish Table cookery book with everyone, especially with my parents. They have been my inspiration, my role models and this special book is their legacy to pass on. 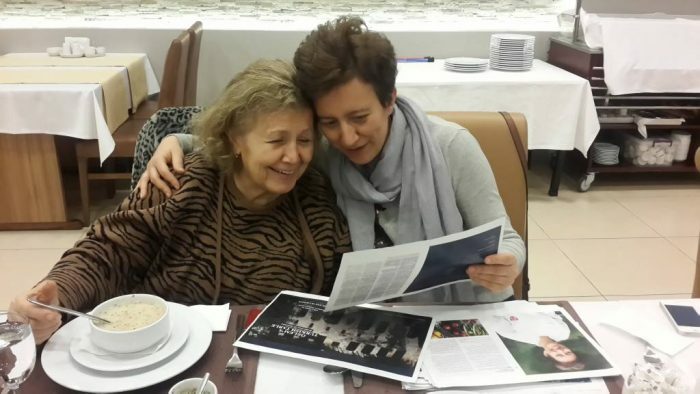 7 Responses to Ozlem’s Turkish Table upcoming events, Signed copies until 16th April! I want to buy your book but cant open the link. I am in Canada. I think the link is not working here. Anyways to buy your book?